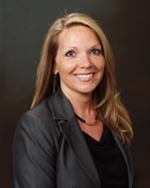 Susan Leonard has nearly 20 years of human resources experience, including 6 in higher education specifically. She has actively practiced and provided direct oversight for all human resources functions in both academic and business settings. Her most recent institutional position was Interim Assistant Vice President and Executive Director of Human Resources at Eastern Michigan University. In that position, she managed a staff of 20 professionals providing HR consultation and service to 2,200 employees at a 24,000-student institution. Ms. Leonard successfully directed the implementation of the human resources/payroll module of the SCT Banner ERP system. She has achieved the highest professional designation in the field of human resources, Senior Professional in Human Resources (SPHR) from the Society of Human Resource Management. Her Stevens Strategy clients have included Colorado Mountain College, Holy Family University, and Immaculata University. She holds B.S. degrees in Organizational Communications and Psychology from Eastern Michigan University.